Amber Cowan is an artist and educator living in Philadelphia. She is a faculty member of the glass department of Tyler School of Art, where she received her MFA in 2011 in Glass/Ceramics. 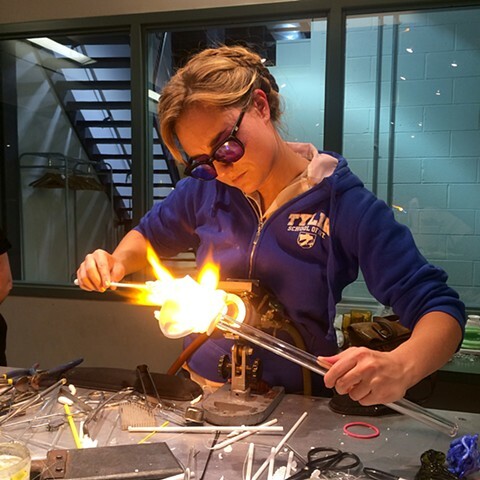 She has taught at schools around the country including The Pilchuck Glass School, Penland School of Crafts and The Studio of the Corning Museum of Glass. Cowan was the recipient of the 2014 Rakow Commission from The Corning Museum of Glass and her work is in the collections of The RISD Museum and The Shanghai Museum of Glass. She has had solo exhibitions at Heller Gallery in New York and The Museum of Craft and Design in San Francisco.